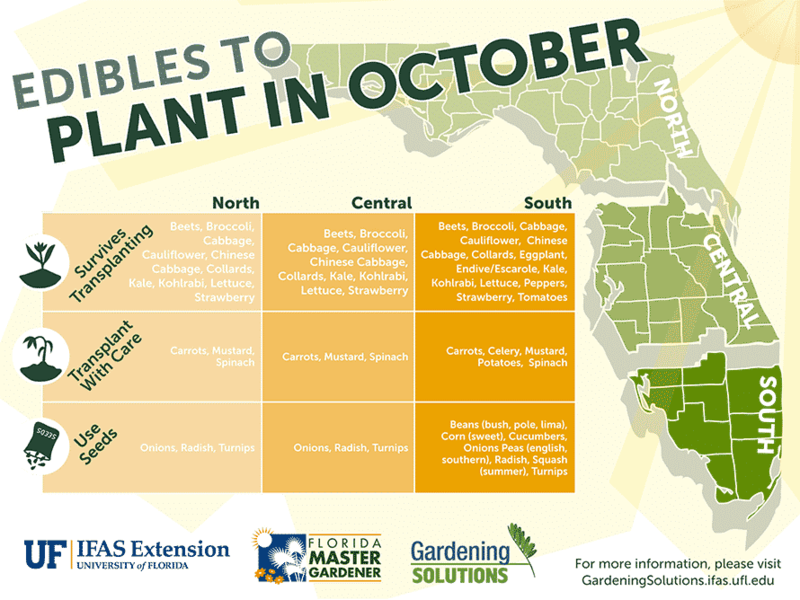 October doesn’t look like it has much going on, but there are still a lot of seeds that you can plant this month. 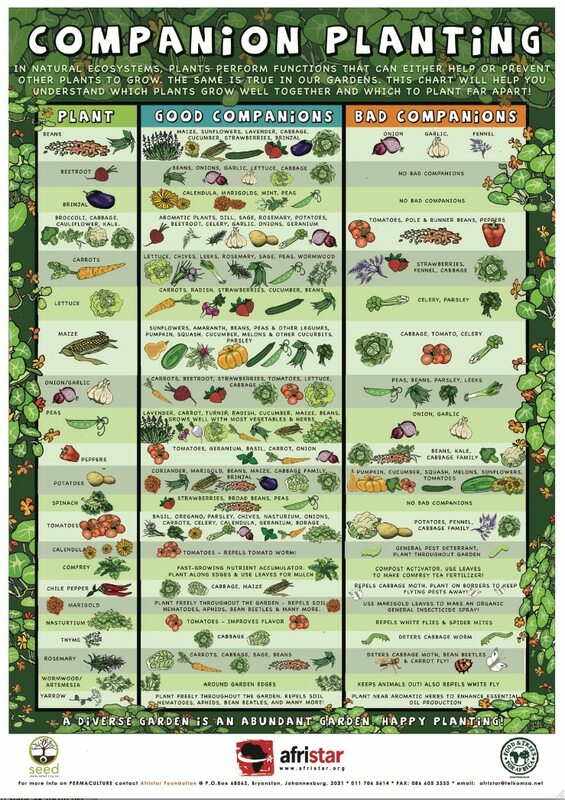 I’ve recently discovered Mary’s Heirloom Seeds, and she provides some very good month-to-month planting guides specific to Florida. As you can see from her guide, you can still start lettuces, herbs, and flowers this month. You can also transplant tomatoes, peppers, and eggplant as long as the plants are big enough. Transplanting after this point could delay your harvest and mean less yield in the long run. I wouldn’t recommend transplanting carrots as they really don’t like having their roots disturbed or damaged. Instead, go ahead and start carrots, radishes, and turnips directly in your garden beds. One trick is to plant a new row of each root vegetable each week. This way, you’ll have a continuous harvest of each instead of having 100 carrots ready all at once. Unless of course you want a large harvest so you can preserve them all at once. Otherwise, just enjoy being in your garden this month. This is a great month to plant mums and marigolds because they are festive and keep away certain garden pests. In fact, this would be a good month to consider your garden layout and see which plants you could combine for companion planting benefits. Check out this visual planting guide for ideas. Enjoy the beautiful weather while you’re outside. This is my favorite time of year in Florida. Happy gardening!